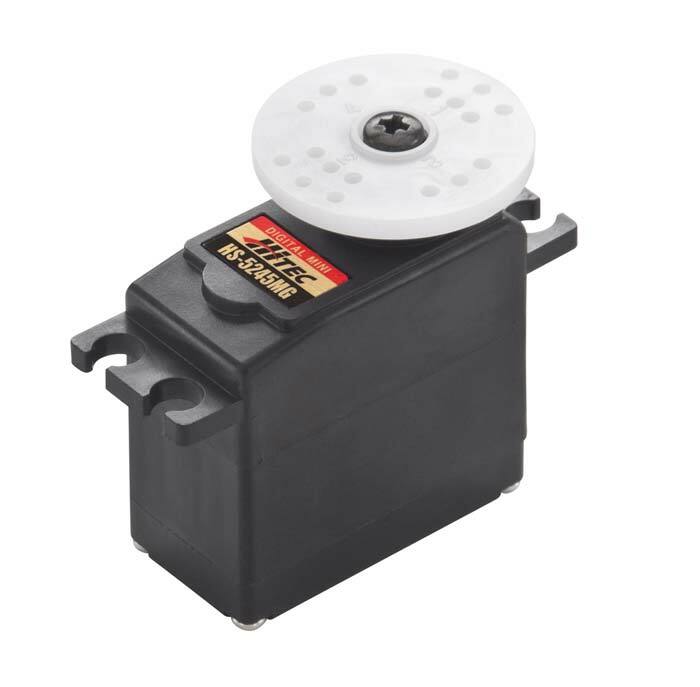 This is the Hitec HS-5245 Metal Gear Ball Bearing Digital Super Torque Mini Servo with the Universal Futaba J, Hitec S, JR and Airtronics Z Connector. Suitable for small medium and sport planes, gliders, .30 size helicopters, and cars. Digital and MOSFET amp programmable. Indirect drive potentiometer for long life. Narrow dead band width and high standing torque. INCLUDES: One Hitec HS-5245 Metal Gear Ball Bearing Digital Super Torque Mini Servo with the Universal with, four rubber grommets, four eyelets, one star shaped, one arm, and two arm straight nylon servo horns, one aluminum servo horn. REQUIRES: Installing on model, attaching linkages, and connecting to receiver.